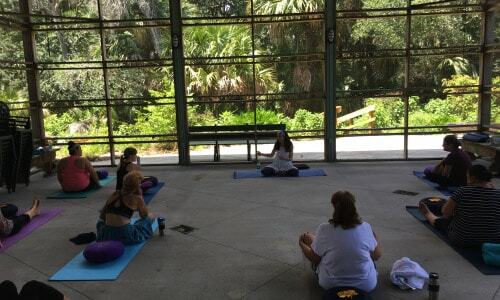 Adina will continue her series of Hridaya Yoga workshops in the open-hearted community around Merritt Island National Wildlife Refuge and Nature Conservation Centers, at the gates of NASA’s Kennedy Space Center. We’ll study, practice, and meditate in a beautiful open-air screened porch, overlooking nature. Contact Information: To register, please call the Enchanted Forest Sanctuary Management and Education Center at 321-264-5185. For more information, please contact Adina at adina@satyasattva.com or +1 904-613-8969.